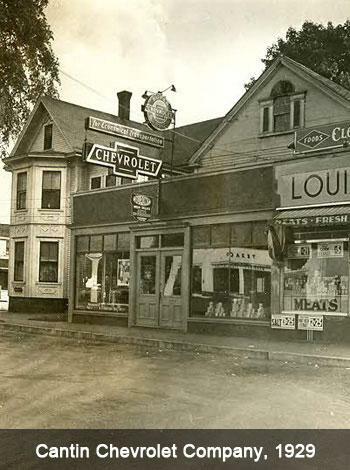 Cantin Chevrolet has been a part of Laconia since March of 1929. The following is a brief overview of some key dates and milestones in relation to Cantin Chevrolet Co., Willie Cantin Chevrolet, and Cantin Chevrolet Inc. In 1929, E.J. Clyde Cantin founded Cantin Chevrolet Co. at 536 Main St. in Laconia. When Cantin Chevrolet was established, it was in a market place that had many brands no longer in business today. Nash, Rambler, Hudson, Studebaker, Oldsmobile, Pontiac, Plymouth, etc., etc. The automobile landscape has been in a continuous process of change. Through all the change, Cantin Chevrolet has prospered, including incredibly challenging world issues such as The Great Depression which started in the same year the dealership was founded. Let's not forget how difficult business was during World War Two, The Korean Conflict, The Vietnam War, etc. Challenges we as a nation and as a company have been able to work through. 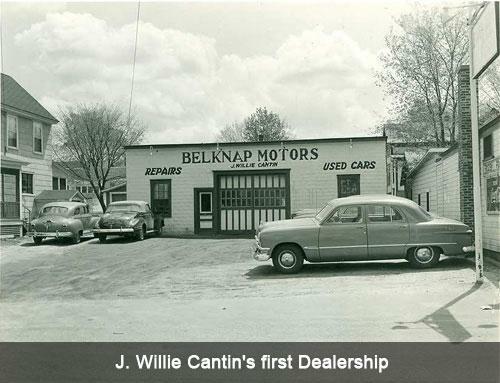 In the early 1940's, J. Willie Cantin established and operated Belknap Motor Sales in Laconia. Belknap Motor Sales was a used vehicle dealership, located at Normandin Square, Laconia. Willie Cantin and Clyde Cantin were brothers, both operating car dealerships in Laconia. 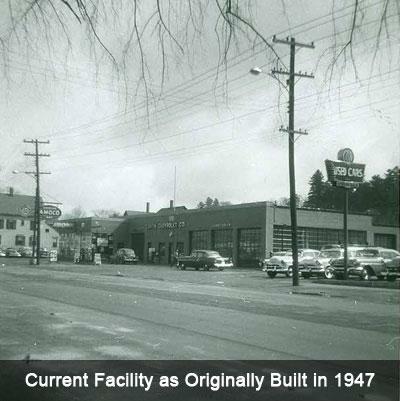 In 1947, Clyde Cantin moved from downtown Laconia to a brand new state of the art facility located at 623 Union Ave. The present location of the dealership today. In 1958, Willie Cantin and Eddie Cantin (Father and Son), purchased Stanley W. Johnson and Son Chevrolet in Sanford Maine. The new name of the dealership was Willie Cantin Chevrolet Inc. The company was in the original downtown Sanford location until 1968 when a new facility was designed and built. In 1971, Eddie Cantin moved back to his home town of Laconia and purchased Cantin Chevrolet Co. from his Uncle Clyde, forming Cantin Chevrolet Inc.
Over the many years since the formation of Cantin Chevrolet Inc., there have been many expansions and renovations. Purchasing two lots across from Main Showroom on Union Avenue to create vehicle display lots. Purchasing Union Avenue Sunoco to create a new vehicle display lot. Purchasing Cumberland Farms on Union Avenue to create a used vehicle showroom. Purchasing Tyler Press on Mechanic St. to build a 12,000 sq. foot Collision Center in 2004. Renovation of the old Body Shop and converted into the Cantin Truck Center, 2005. Created the Cantin Touchless Car Wash within Cantin Truck Center in 2006. Renovation of the Used Vehicle Center in 2006. Complete reconstruction, 3000 square foot expansion, and renovation of the main Sales, Service, and Parts facility in 2012. New vehicle display lot expansion, new display lighting, 2013.